I was bored and thought I’d finish introducing you to the rest of our flock! She is so friendly, easy to handle and expressive. She knows her name and comes running when she’s called. She even puffs her nostrils out when she wants something or is trying to look cute. I love this bird. I have a special place in my heart for her. Here she is again just a few days ago. She’s so sweet and lovely and almost totally feathered. She tends to lay eggs occasionally now, but she’s happy and healthy so that’s OK. This is her retirement home and she’s allowed to have a rest from laying. This is Crispy. She’s larger and darker than Mel, but is the quiet one that you have to watch. She has Mels’ back. Friendly, but not overly keen on being fussed like Mel. Will be picked up but you can tell she’s not crazy about it! She makes a very distinctive tucking noise to let you know she’s there. Very sweet and beautiful. Lovely shiny dark feathers. Ginger! Now, we got this lady with 2 others in February, after we lost Terri and Chicken 11. 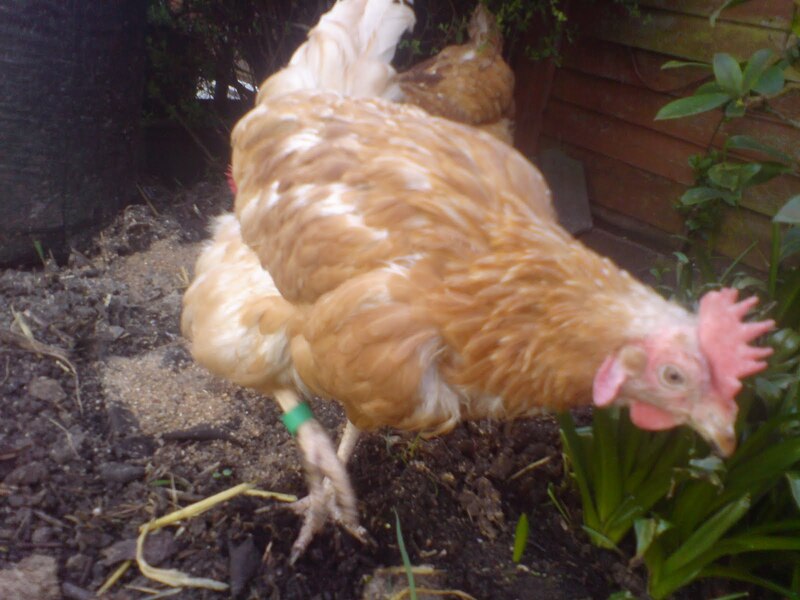 It’s never a good idea to introduce a smaller number of hens, so we thought 3 hens to 3 hens would be OK. This lady however, was very fiesty and aggressive. 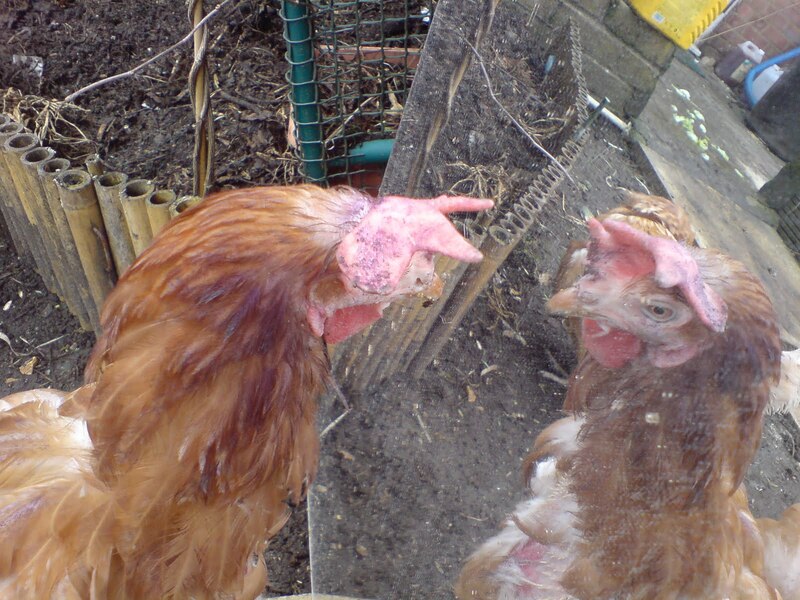 Here she is facing off to herself in the mirror!! We eventually had to integrate the other 2 new ladies with our 3 older ones as Ginger was pecking them and making their life miserable. We then introduced her to the rest alone, she got put down a few pegs, and has settled into the group beautifully. 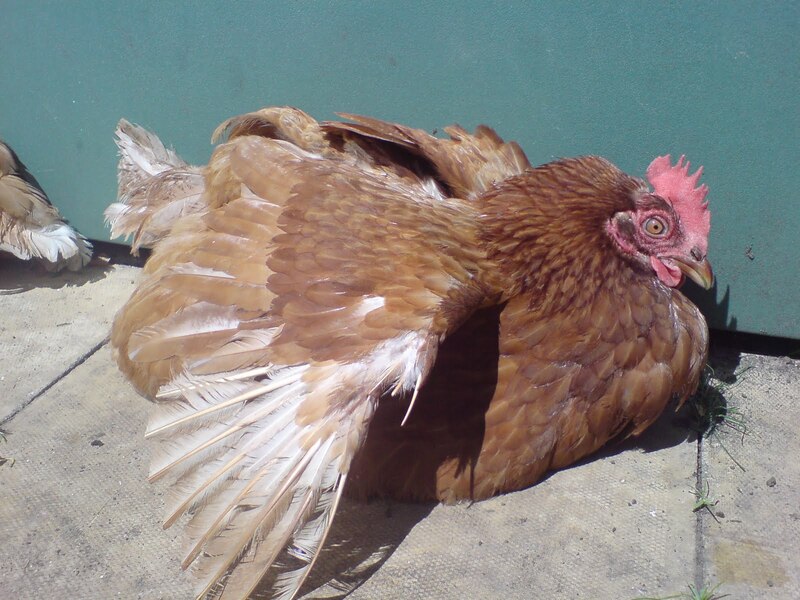 Here is Ginger 6 months later having a sun bathe. 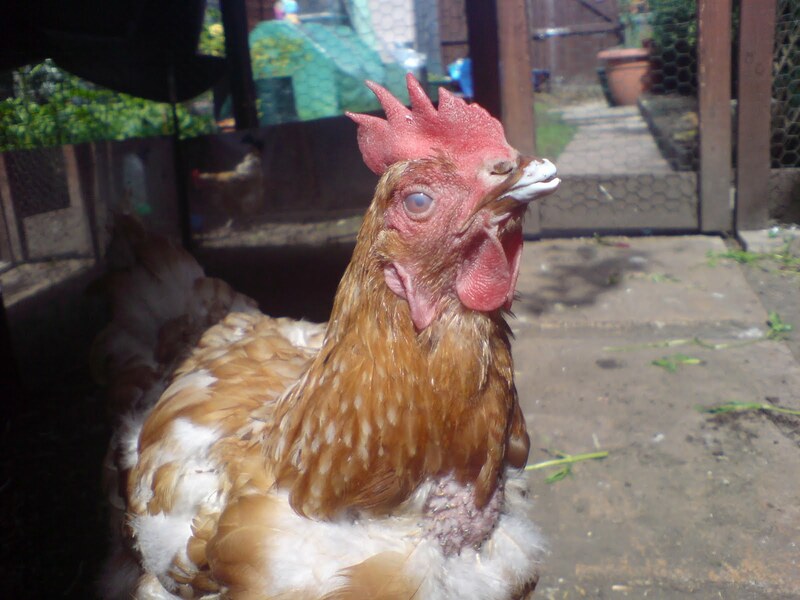 She still has a long way to go on the feather front, sometimes they never fully feather or take a long time, but her face is lovely and red, she’s settled and happy. 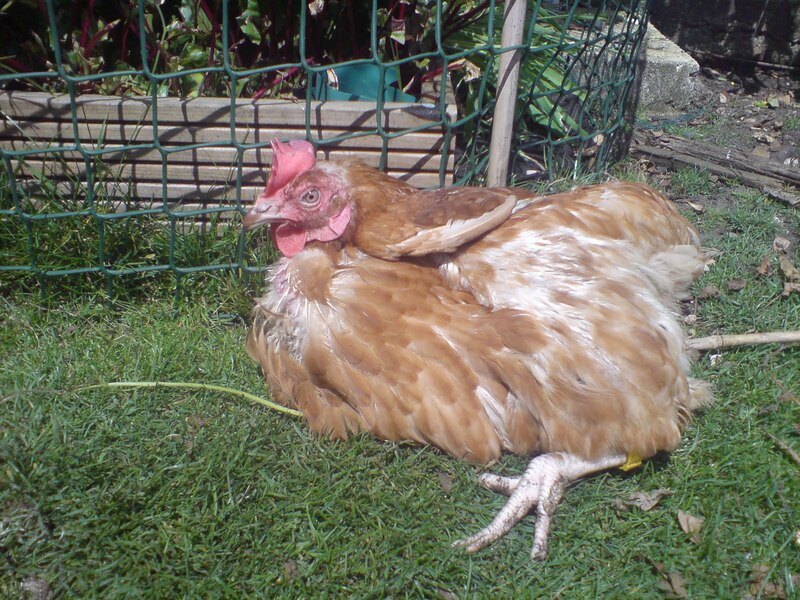 She lays lovely shiny pale eggs and doesn’t fight with anyone anymore. She’s also one of the easiest to handle and very friendly towards people. Turbo. 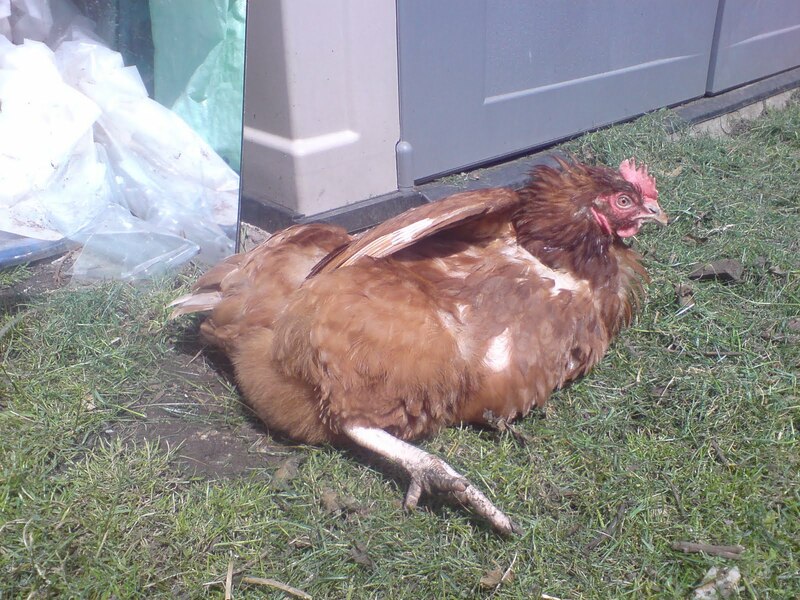 She was the poorest looking hen when she came to us. Really thin, almost no feathers and she got picked on horribly. 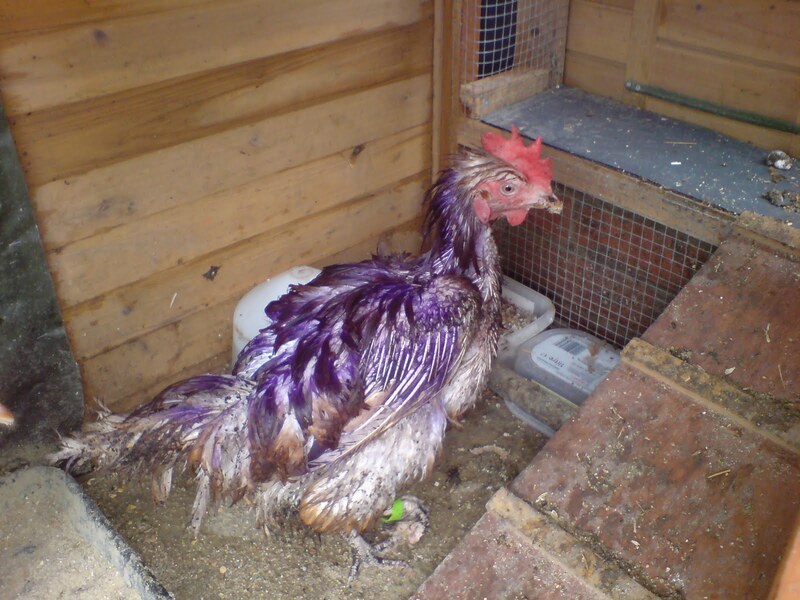 She’s purple in this picture due to the antiseptic spray which also hides any red bits which cause hens to attack. Very cute and friendly, despite her poor condition. We were convinced she wouldn’t make it. This is Turbo now! it’s been 6 months and here she is enjoying some yoghurt. She’s still missing some feathers but she’s confident, happy and up to weight. What a turnaround! Her eye looks cloudy here as she was mid-blink! 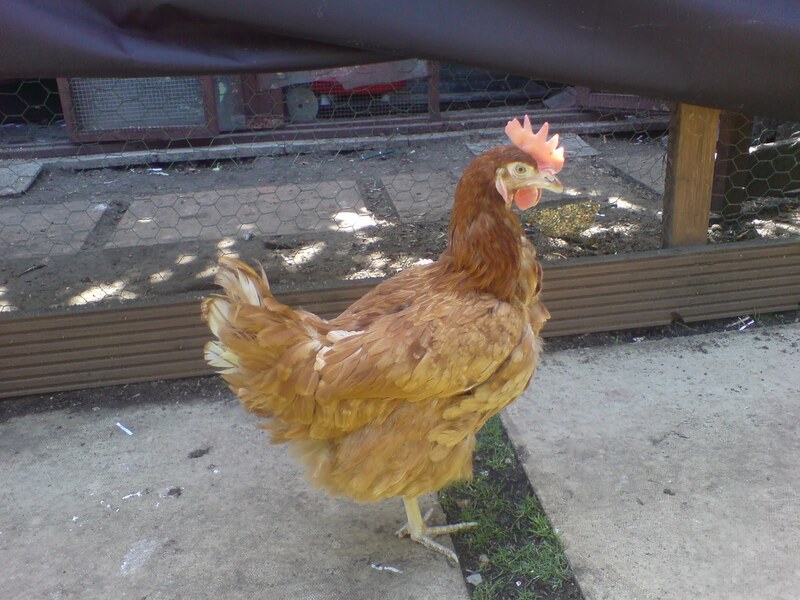 Terri 2, named in memory of the late Terri and because she looks very similar! She is a cheeky girl, always first for food and always dives in the house when the door is opened!! 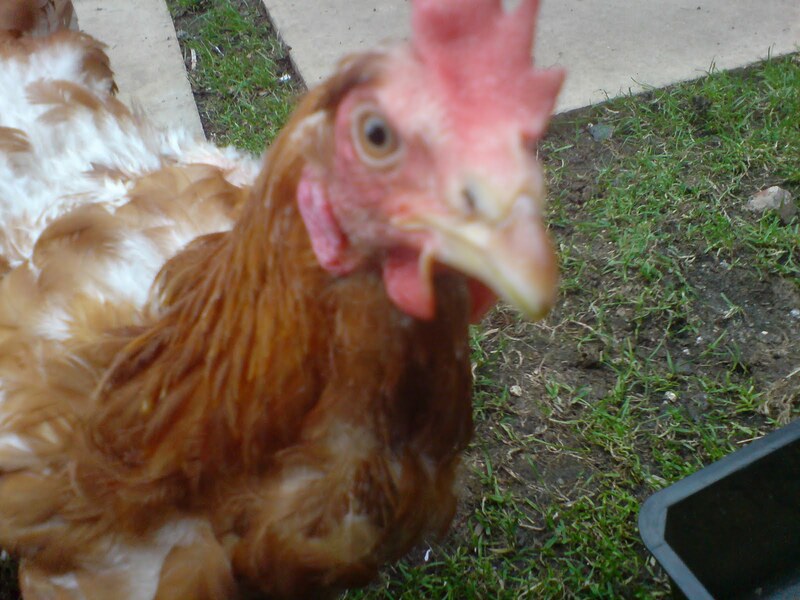 When she came to us, she was quite well feathered and already very friendly. She follows you round and coos for food!! Cheeky miss, but I love her! V8, we got her and 2 others from a work colleague of my husband. They got 3 hens, had them for a week and decided they weren’t for them, so we took them. This is a very timid girl, ever so pretty though! We got them in May time, so we’ve not had them all that long. They were in pretty good condition though. This is Bunty. She’s so pretty and we were amazed at her good condition. She came with V8 in May. She’s very nosey, and follows me round when I poo pick, trying to climb into my scoop! She’s a very sweet girl who is easy to handle and likes a cuddle! Last but not least is Chicken 22…. named in memory of the late Chicken 11. She’s very much like 11, nervy, but very pretty. She was the least feathered of the 3 that came in May. She’s friendly but not overly keen on being handled. 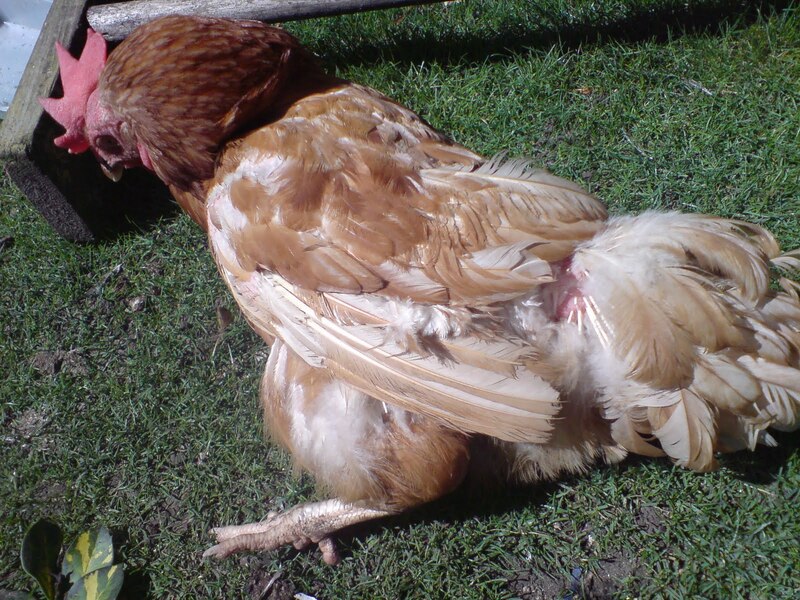 She usually hangs back and is the bottom ranking hen. So thats’ all of our hens. 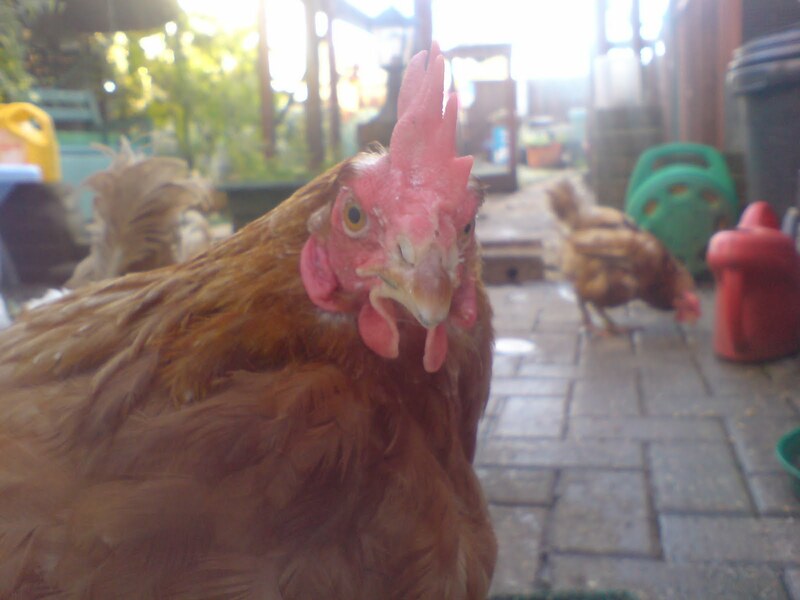 I’ll write some more about the care of hens, what they need etc… maybe you fancy having some hens. They are a great joy to have and you can spend hours watching them. The eggs are superior to any you’ll buy in a supermarket and once you’ve had home produced eggs, you’ll never go back. Having hens has made me really aware of where my food comes from. I only buy free range meat, I never eat at KFC anymore and I look at all meat I buy to see where it came from. We also grow our own vegetables, but we only have a small garden so are quite limited on what we can grow. I’ll talk about that in another post though. Thanks for reading. Hope you come back again soon. 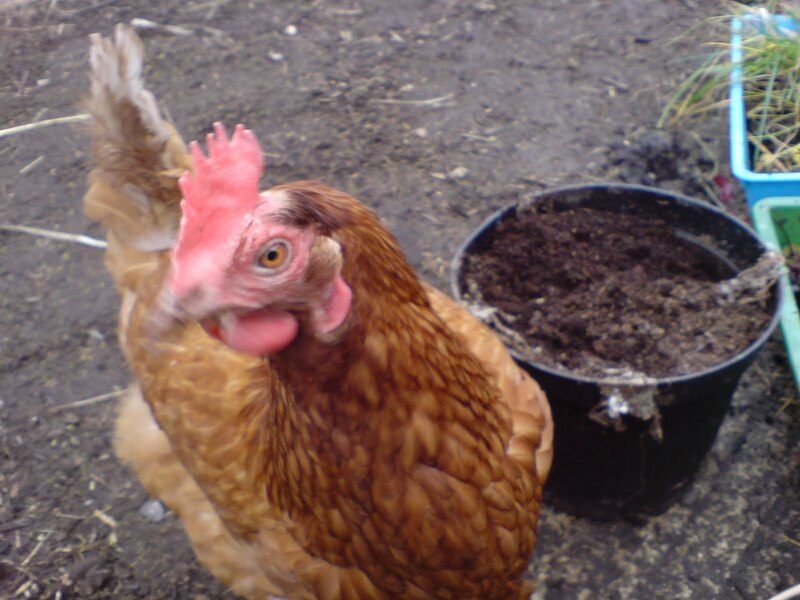 This entry was posted in Chickens, Hens and tagged back garden hens, birds, chickens, ex-battery, free range, garden, hens, pets. Bookmark the permalink.